So, what a week, eh? After a packed few days already, thanks for joining us yet again for another Halo Community Update. Today will mainly be a catch-up on all the recent craziness, from Halo 3’s tenth birthday to the launch of Halo Wars 2: Awakening the Nightmare. In addition, we’ll also catch up on some awesome community content that’s come over the comms – there’s been some doozys. Doozies? Anyway, read on! On Tuesday, we released Halo Wars 2: Awakening the Nightmare. This awesome new expansion featured a brand new five-mission, Banished-perspective campaign, a slick new co-op PVE mode in Terminus Firefight, and two rough-and-tumble Brutes to add to your Leader lineup. If you haven’t seen the trailer, do yourself a favor and rectify that right meow. If you’re a fan of the game and also interested in some of the sweet deets on behind-the-scenes-beats, then make sure you check out the replay of our Awakening the Nightmare livestream. In it, ske7ch and yours truly talk to members of the HW2 development team here at 343 about story, art, design, tech, and more. We had an awesome time, had fun, made fun, answered community questions, and overall just had a chill celebratory time. Check it out! So, if you’re wanting to get a hold of either the expansion all by itself, or the Complete Edition bundle with the base game, Season Pass, and Awakening the Nightmare expansion, check out the handy dandy links below. And if you want to get the full skinny on the Awakening the Nightmare expansion, make sure you check out our official launch blog right HERE. On Monday, we celebrated the tenth birthday of this relatively successful little game called Halo 3. As part of the festivities, we hosted a celebratory livestream that featured an awesome H3 speedrun by ProAceJoker, some wistful reminiscing from ske7ch and Frankie, an epic Community Playdate filled with 343 ringers, and more. If you missed it, you can still check it out on VOD. Actually, speaking of that playdate, the playlist of choice was the H3 Classic Throwback playlist in Halo 5. If you aren’t familiar with it, this playlist features a lovingly-crafted settings pallet designed to mimic as closely as possible the H3 feel, from jump height and gravity, to movement and shield recharge speed. And it all takes place on some absolutely gorgeous community-made Forge maps. We’ve tried our best to recreate that H3 feeling, including the frustration of getting Snowbound for the fourth time in a row. Ahhh, nostalgia. For all the yummy details on our Halo 3 adoration, make sure you check out the epic birthday blog that ske7ch put together right HERE. It’s a ridiculous trip down memory lane that you should absolutely check out. As I write this, the HCS Pro League is just wrapping up its final match not only of the evening, but of the Fall 2017 season. The night ended in Evil Geniuses topping Ronin Esports in our third(!) Game 5 series of the evening. 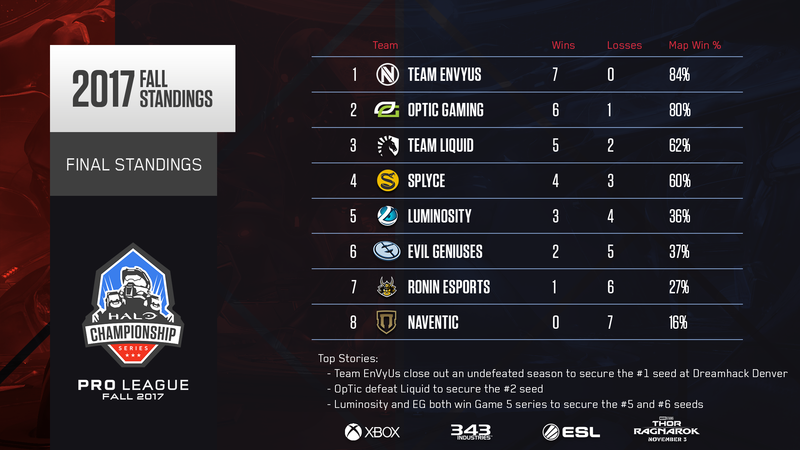 Heading into Denver, here’s how the North American standings have shaken out, with Team EnVyUs maintaining their stranglehold on first at 7-0 in a victory over Splyce. And don’t forget, the HCS Fall 2017 Finals at DreamHack Denver is right around the corner! The action gets underway Oct 20-22, and you can check out all the latest important info on our official event hub at halo.gg/DreamHackDenver. If you’re wanting some in-depth community-sourced takes on the series and its latest release, check out the cool content from haruspis and Halo Canon (below). And now, it’s time to cozy up in the canon corner for a little lore lovin’ with your old pal Grim. 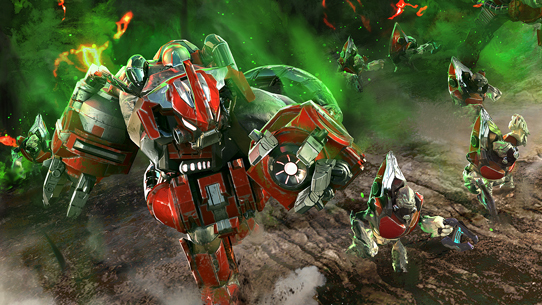 As we’ve stated quite abundantly, Halo Wars 2: Awakening the Nightmare has been fans’ first chance in quite a while to get down and dirty with the Flood – and in a perspective much unlike we’ve ever seen before. If you watched the special livestream we did for the expansion’s launch (linked near the beginning of this update), you saw us talk to folks like Kevin Grace (HW2 Narrative Director) and Jeremy Cook (Art Director) about how the Flood was brought to life in some pretty new and awesome ways. And that’s one of the “advantages” in some ways of the Flood – they are in many ways infinitely malleable and incredibly difficult to nail down and understand. 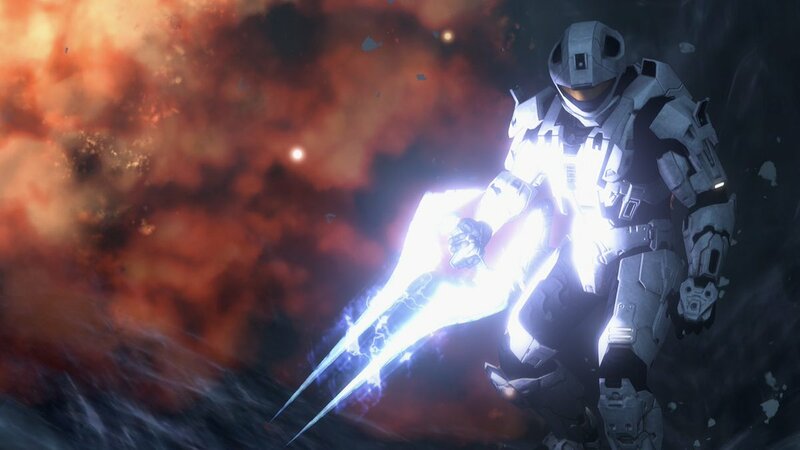 That being said, plenty of fans certainly try, and today we (specifically the Mythos triumvirate) wanted to address some questions that came up with some of the Flood lore included in Halo Wars 2’s Phoenix Logs, specifically regarding key minds. Saddle up and let’s get weird. IDENTIFICATION OF NEW categories of Flood components and forms will be distributed upon confirmation. Tentative conclusions: the Flood is mutating to form Graveminds of unprecedented size and complexity, incorporating many species. Entire planetary ecosystems have apparently undergone conversion to what are being referred to as Key Minds. Evidence of the extraordinary strategic planning abilities of these Key Minds is rapidly increasing. They appear to be more than a match for any metarch-level ancilla, capable of assuming complete control of besieged sectors, and sending converted battle fleets through unprecedented number of slipspace portals utilizing unfamiliar technology. This technology also appears to be capable of blocking delivery of our forces to battle fronts. Vessels showing signs of extreme reconciliation failure have been witnessed at the arrival points of major Forerunner portals. Perhaps most alarming, reports arrive each hour of reawakened Precursor artifacts, including orbital ribbons, star roads, planetary fortresses, and citadels. Combined defense forces are inadequate to investigate and confirm all instances of these reactivations. They appear to be galaxy- wide. After an infestation is established the parasite transitions from feral aggression to coordinated conversion by creating specialized Flood organisms that network their individual intelligences. These key minds act as coordinators for nearby Flood, leveraging wisdom harvested from the parasites’ hosts to expand, outwit, overwhelm, and consume other life. As the Flood grow in number these key minds combine and expand into larger, exponentially more intelligent networks. The appearance of these vile collectives typically indicate most local animal life and sentient hosts have been infected or consumed. Once a critical mass of key minds have combined the Flood’s centralized intelligence can begin to emerge in their seething mass of corrupted flesh: a Proto-Gravemind that sifts through and feeds on the memories of every Flood-infected victim. Once the Flood parasite establishes itself with combat forms and other infected entities, it captures sentients to fuse their neurosystems together with pure Flood cells to create coordinating bodies known as key minds. There are various types of these Flood forms, from the relatively simple Proto-Gravemind agglomerations, to the apex Gravemind forms through which the parasite’s true intelligence can manifest. Specialized key minds are also assembled if the Flood is allowed to spread out of control, including mobile command forms and specialized meta-networks that harness the neurosystems of entire planetary population for the purpose of controlling Flood activities at an interstellar scale. SO, IS THERE ANYTHING "BEYOND" A GRAVEMIND? Graveminds/the Gravemind is the apex of Flood evolution. As the compound minds created by the Flood expand and grow, Gravemind can consciously exert control over a wider area or divide its attention among many more intricate plots that work in perfect harmony at the galactic scale. So yes, there are key minds of far greater scope and capability from the minimal viable Graveminds (e.g. the form used by Gravemind in Halo 2). The Forerunners detected these compound minds in Greg Bear’s Silentium (see the String 18 excerpt, above). The tools with which a gravemind can manipulate Flood forces and fury are mysterious, malleable, and nigh beyond comprehension in many ways, as alluded to in String 18; their analysis of what could potentially be a new stage of Flood development beyond the Gravemind, which—strictly speaking—isn’t entirely different from a Gravemind, but perhaps only in power, size, and capability. Key Minds are effectively Graveminds in every other definable way. Humans who had access to this Forerunner intel, however, realized that the complexity witnessed to give rise to the Key Minds isn’t exclusive to a new stage, but rather pervasive at every stage of progression, especially leading to the formation of a Proto-Gravemind. Not until the end of the war were even the Forerunners able to begin forming “tentative conclusions” at the nature and methods of the Flood. That's part of the terror of the Flood – “what is it? How does it work? WE KINDA HAVE NO IDEA.” Remember, when the Forerunners themselves tried to understand the Flood, the more they learned, the more filled with mind-bending dread they became; a civilization built on knowledge and careful curation had come up against their greatest threat: the unknowable. Phew! So, there you have it. And by the way, it’s absolutely awesome that we have so many folks in the community so passionate about the inner workings of our favorite universe. You both inspire us, and keep many of us on our toes (in fact, my feet hurt from it!). These kinds of discussions are half the fun – there’s still plenty of crazy mystery left in the Halo universe, and the Flood are really only the beginning of what could be out there. We’ve got quite a few blips on the ol’ tracker this week. Let’s see which ones we can chase down. 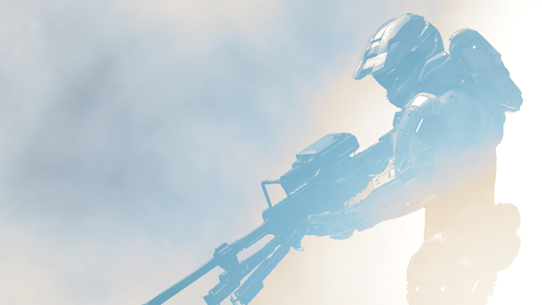 XP Xtravaganza – Part of our "Halo Summer Celebration" was doing Double XP weekends where players can earn extra experience in Halo 5 by playing in featured playlists. With Summer now officially passed, we thought we’d give one last DXP hurrah, and so this weekend, every playlist in Halo 5 will be Double-XP. That’s right, all of ‘em. Plus, we’re looking at new ways to bring DXP events back in the near future, so don’t be thinking that they’re gone forever. Go get rewarded! Steamy Sangheili – Our friends over on the Killer Instinct team recently released their awesome fighting title to Steam, including the Arbiter character included in Season 3! 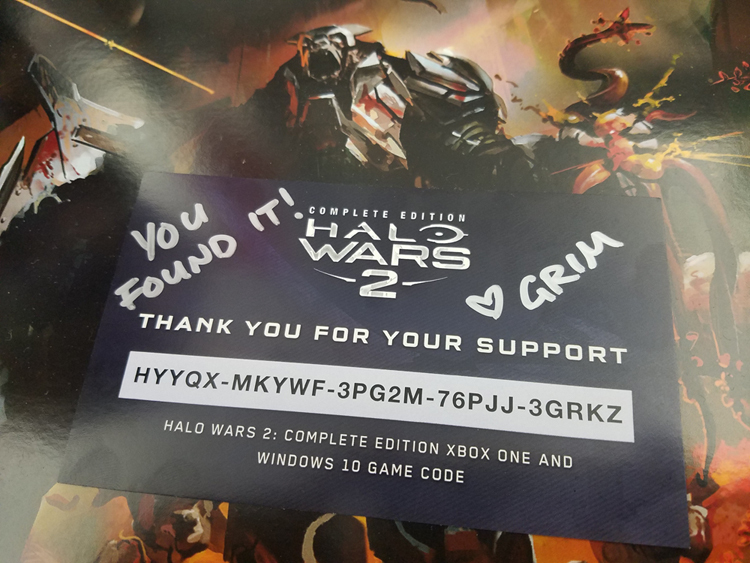 We’re super excited for the opportunity this gives a brand new group of folks a chance to get some Halo love in their life. This feeling is perhaps punctuated no better than by popular streamer Total Biscuit, whose discovery of the cameo was um, pretty awesome and hilarious. Note – the verbiage isn’t quite, um, T for Teen (like, for real, explicit launguage warning), so pardon the yuckyucks if you want to check out the clip. Bip. Bap. Birthday. – H3 itself wasn’t the only Halo title to celebrate a birthday recently, as Sept 22 also marked the 8th birthday of Halo 3: ODST. Community member VinWarrior wrote up a cool retrospective for Podtacular that’s worth checking out, so, go do it! Classic Dome Domes – Praise be! The much-ballyhooed Classic Helmet REQ Pack is back for a limited time in the Halo 5 REQ Store. This awesome collection of legendary lids includes the Pilot (aka, the best one), CQB, EOD, Military Police, EVA [GEN1], Operator [GEN1], Security [GEN1], Recon [GEN1], and the delicious Mark. V Delta, all for 150k RP. Go and decorate your face! This piece by The Halo Cinematic Project is absolutely gorgeous. Just watch. Goodness. @_samuelcooke is at it again with this beautiful H3 tribute piece below. 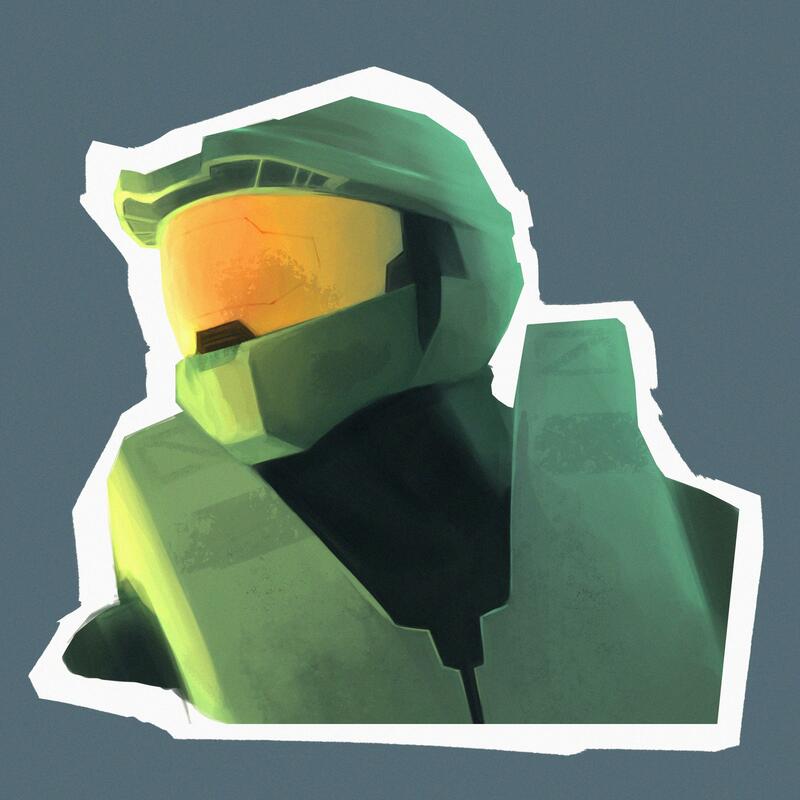 Xesiamv shared this minimalist, awesome piece over at r/halo. 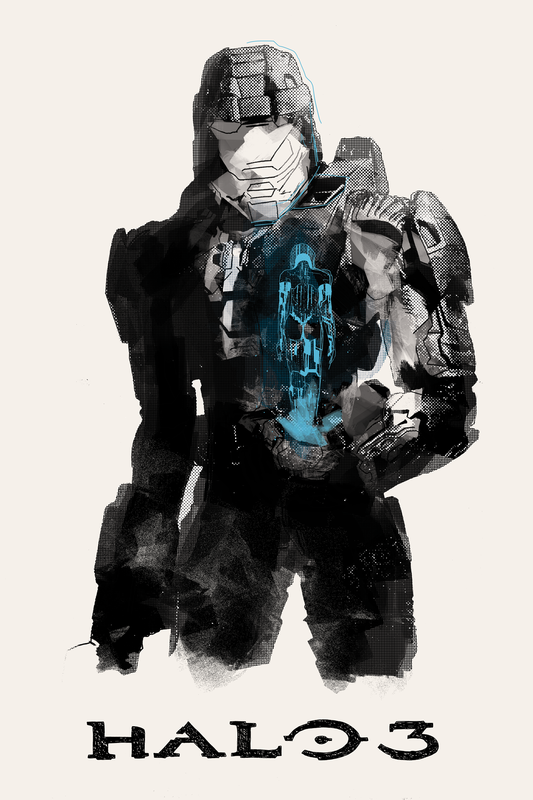 Love this image by @HaloHLS. 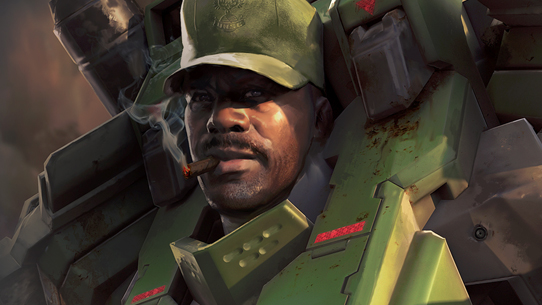 Yes, you can haz Recon. Also, for you screenshotters out there, you’ve got a new theme to chase down for next Update: the Flood. Only fitting with our H3 and HW2 focus this week – feel free to be as literal or abstract as you like, and remember that between The Master Chief Collection and backwards-compatibility, you’ve got a lot of options to choose from to find some creative shots (don’t feel like you have to just send in H5 ones). Good hunting! And with that, we’re out (and exhausted). Hope you have an awesome weekend, and whether it’s commanding troops against the Flood, or going boots on the ground with a classic BR in hand, make sure you get your game on! Until next time… Live well, play Halo, and tell someone you think they're awesome.